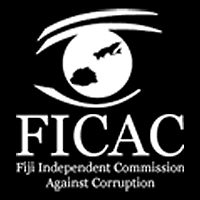 “Act Against Corruption Now,” FICAC Deputy Commissioner George Langman said, “We should all get together and co-operate with each other to be successful. “Celebrating this day signifies a milestone in the fight against corruption; it is a reflection of the Government’s commitment to genuinely fight corruption that has affected our country”. These were the words uttered by George Langman in Churchill Park in December 2012. In less than one year from the date of this address, the unelected, government appointed Administrator for Lautoka City had sold a large section of Churchill Park ( Where George Langman spouted his meaningless address), without going to tender and without consulting Lautoka rate payers or any of the sporting groups who use the recreational area. Strangely he sold it to Tappoos, the business organization much favoured by Fiji’s Attorney General, who coincidentally is the Minister that George Langman reports to. The final straw was the ground breaking ceremony was performed by our erstwhile Prime Minister who seems to see nothing wrong with any aspect of this transaction. Corruption is not dead in Fiji , it is being practiced daily by people who should know better. Will George Langman investigate this.. WHAT DO YOU THINK. ?? We should petition for a investigation into all aspects of this transaction. All development should be halted until investigation completed.